HPDs Francesc Marti, Matt Murphy, and Elyzabeth Gaumer testify to the City Planning Committee on Housing and Buildings on the results of the 2017 Housing Vacancy Survey, March 19, 2018. The New York City Housing and Vacancy Survey is conducted every three years by the U.S. Census Bureau and is used by the city to determine if it’s still in an official “housing emergency” with housing vacancy rates at or below 5 percent. If so, the city will then pass legislation updating the expiration date of the city’s rent regulations and pass a resolution confirming there’s a housing emergency. * At the City Council hearing on Monday, councilmembers and the public discussed the Department of Housing Preservation and Development (HPD)’s initial findings from the survey. Here are 10 statistics from the Housing Vacancy Survey and how government officials, the public and property owners are interpreting the results. 1. The rental vacancy rate increased from 3.45 percent in 2015 to 3.63 percent in 2017 but remained below the 5 percent threshold considered a housing emergency. While some might see this as a sign that the housing emergency is waning, Barika Williams of the Association for Neighborhood Housing and Development noted in her written testimony that the vacancy rate increased greatly—from 4.61 percent to 6.07 percent—in private non-regulated units, while the vacancy rate in rent-regulated units in fact decreased during this time. This, she argued, means that pricy new construction is driving the rise in vacancy rates, not an easing of the housing crisis facing low-income renters. 2. Vacancy rates are highest for high-rent units and lowest for low-rent units. Units with asking rents above $2,000 have a 7.42 percent vacancy rate—an increase from 2014’s 6.22 percent. Meanwhile, units with asking rents of below $800 have a 1.15 percent vacancy rate—and that rate has worsened, down from 1.87 percent in 2014. As acknowledged by the Department of Housing Preservation and Development (HPD), this data would appear to evidence the city’s great need for lower-income units. It also suggests, as some tenant advocates argue, that new, pricy construction is resulting in higher vacancy rates while failing to address the affordability crisis. 3. Of all the boroughs, Manhattan rentals have the highest vacancy rate at 4.73 percent. This is again evidence to some tenant advocates that vacancies are driven by high-cost apartment construction in Manhattan; to the Rent Stabilization Association, it’s a reason to end rent regulations for buildings in Manhattan. 4. From 2014 to 2017, median monthly contract rents for all renters grew by 8.1 percent, (and asking rents grew by a whopping 33.9 percent). But likely due to the two-year rent freeze on rent stabilized apartments, median monthly contract rents for rent stabilized tenants grew only 2.6 percent during that time period. This difference in rent growth is evidence to many tenant advocates that protecting the city’s rent-stabilized housing stock has never been more important. The Rent Stabilization Association, in contrast, points to these figures as a sign that the burden of rising property tax and water and sewer payments was unfairly shouldered by landlords under the rent freeze. 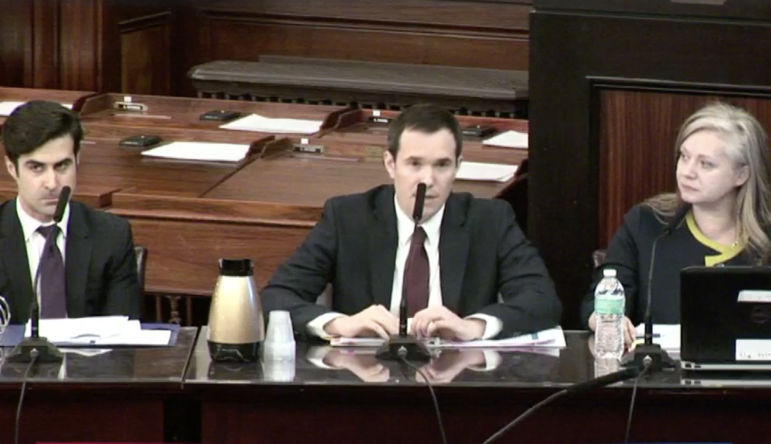 Bronx Councilmember Mark Gjonaj also expressed concern that rising property tax and water and sewer payments were a hardship for landlords who then passed those costs to tenants in non-regulated apartments. 5. About 56 percent of renter households are considered rent burdened (with higher levels among lower income families). The rent-to-income ratio has stayed the same since 2011. To the Rent Stabilization Association, this suggests the housing crisis is not worsening. To ANHD, it means that rent burdening is worsening for lower-income families while improving for higher-income families. 6. There are more housing units than ever on record since the housing survey began in 1965, including an additional 69,000 units since 2014, which accounts for both growth and losses in the housing stock. According to HPD, this means that despite the city’s “record-breaking” housing growth, supply is still not keeping pace with demand—though the agency also adds that the city needs to “specifically add lower cost units and work to retain existing units with lower rents.” In the past, some tenant groups have voiced disagreement with the assertion that more “supply” in general is needed to address the housing crisis, while landlord groups often argue the opposite: that the rent stabilization system makes development more expensive, resulting in a shortage of housing supply and driving up costs across the board. 7. Only 3.6 percent of renters reported five or more building maintenance problems, among the lowest rates on record since the measure was first taken in 1991. It’s unclear from the initial data findings how housing quality may differ according to rent-levels and regulation status, how serious the reported maintenance problems are compared to those recorded in earlier years and whether the low rates of reported problems indicate better maintenance or a fall-off in reporting by tenants. All that said, one broad implication of this data point is that while there are undoubtedly many buildings with maintenance problems, most landlords are taking adequate care of their properties. 8. In a reversal of earlier trends, household incomes grew faster than rents for both rent-stabilized tenants and non-regulated tenants. Among all renters, incomes grew by 10.9 percent while rents increased 6.2 percent. The Rent Stabilization Association refers to this among other evidence contradicting the image of a housing emergency. As noted by HPD, however, the city’s median contract rent is still above the city’s median income. And Oksana Mironova from the Community Service Society argues in written testimony that gains to the median income are impacted by the growing numbers of New Yorkers with higher-incomes, not by economic mobility for the poorest New Yorkers. ANHD calls this a “jarring statistic” that “begs the question, what’s all the new development really going toward?” while the Rent Stabilization Association says that, were these units included, there would be no housing emergency. This statistic would seem to highlight the fact that, on its own, merely increasing the supply of housing units will not solve the affordability crisis. For some, this data point bolsters the case for taxing or otherwise regulating pied a terre apartments—those used sporadically by wealthy out of towners, or held mainly as investment properties. 10. The size of the rent stabilized housing stock—966,442 units, or 44.3 percent of the total housing stock—has statistically stayed the same since 2014, counting both losses and new rent stabilized units that have come online. The city also has an additional 21,751 rent-controlled apartments that make up 1 percent of the housing stock, “continuing the long-term gradual decline of these units,” according to the survey. HPD says that state reforms to strengthen rent laws in 2011 and 2015 may have helped retain about 100,000 rent-stabilized units. Agency officials also mentioned other efforts to protect the rent-stabilized tenants and the rent-stabilized housing stock such as the Anti-Harassment Task Force and the upcoming Certificate of No Harassment program. Still, Council members and the public appeared concerned about landlords abusing rent-regulation laws or harassing tenants out of their apartments, and a corresponding loss of rent stabilized units. Johnson said that throughout this year, and until rent regulations are up for a vote by the state legislature in June of 2019, the Council will press Albany to make changes to the laws to end vacancy decontrol, preferential rent, vacancy bonuses, and reform Major Capital Improvement increases—all policies that tenant advocates say result in rising rents and deregulation in rent-regulated housing. 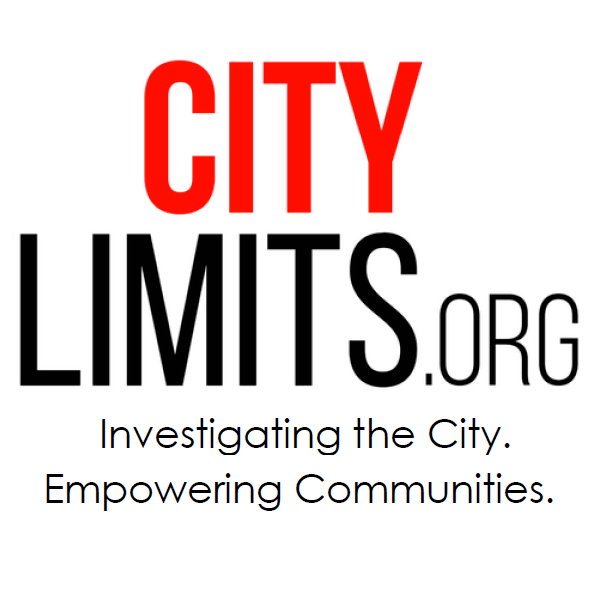 Councilmembers also pressed HPD for ideas about how the city itself could improve enforcement of the laws and coordination between different agencies, as well as find other ways to protect tenants, with Councilmember Margaret Chin suggesting the creation of a city-funded project-based rental subsidy or a rent freeze program for low-income families. *Correction: Originally stated that a housing emergency is declared when the housing vacancy rate is below 5 percent (in fact, it must be at or below 5 percent). Also, originally failed to state that the city must pass legislation extending its own rent regulations. 1) That new stabilized units have been added to the housing stock doesn’t necessarily mean that they’re the same as ones in old buildings subject to rent regulation due to size and age. Newer units are almost exclusively added under the 421-A tax abatement program, in which the initial rents are set by the landlord ($$$) and many if not all have preferential rents. If you’re paying $2500/mo as a preferential rent but your legal rent is $9000/mo and your landlord can revoke the preferential at the end of any lease period can you really be said to be benefiting from the protections of the rent stabilization law? 2) There are approximately 1.1m buildings in NYC. Taxes are levied based not on building but on block and lot. There are some block/lot pairs which have more than one building on them, so there are about 890,000 block/lot pairs. There are around 75,000 buildings that have 10 or more units. These buildings provide the lion’s share of the available rental units in the city (around 65%), and are required to file a document with the department of finance called the RPIE, in which they declare what they expect the total income and expenses to be in the upcoming year. The DOF uses this information to calculate property taxes, and the information is public on the NYCProp website. You can look up your building by its block and lot and see exactly how much money your landlord is making, and how much he or she is paying in property taxes. Let’s just say that almost none of them are losing money, even the ones composed entirely of stabilized units (partly because the income on stabilized units is lower and as a result the income is lower, bringing down the property taxes). It’s ironic to hear landlords complain that their taxes have gone up when this increase is a direct result of increased income on the property. 3) Focusing purely on the monthly rent paid is somewhat missing the forest for the trees. Rent stabilization has many benefits above and beyond low rent (which not all of them have, particularly new construction as noted above). Tenants in RS units have a right to first refusal, which means the landlord must offer them a renewal. This benefit alone hugely outweighs the simple issue of a regulated increase. Cities like NYC which are highly in demand, have a functionally infinite number of people worldwide who wish to live here, and a limited amount of space in which to build and live, force tenants in market-rate units to live as serfs, subject to the landlord’s whim. Every year you have to be prepared to pack everything you own, spend a tremendous amount of money in moving costs (first and last months’ rent, security deposit, lost income from having to pack and move, possibly paying movers, etc). This does not lend itself to stable communities or a healthy population. It’s stressful, unnecessary, and costly, and serves one purpose and one purpose only: to feed the sucking rapacious maw of rent-seeking engaged in by the city’s few thousand large landlord class. 4) The reason that vacancies are lower in RS units is because people who live in them hold on to them for dear life in order to avoid the issues I discussed in (3) above. Ironically, it is the system of “luxury decontrol” established in 1996 that has created this problem. Prior to that, if you were in a stabilized unit, you were perfectly content to leave because you could be ensured that your next apartment would also have the same protections. Moving from a stabilized unit to a market rate unit is a profoundly damaging decision for any tenant. 5) A huge number of rent stabilized units that have been lost since luxury decontrol was introduced in 1996 have been deregulated unlawfully. There are a thousand shenanigans that landlords can engage in to avoid properly registering units in their portfolio, and they almost always get away with it. Failure to register with DHCR, claiming much larger IAI increases than what was actually spent, claiming an IAI on an apartment in which no work at all was performed, registering the unit as stabilized with DHCR but providing the tenant with a market-rate lease. It goes on and on and on. And the state level regulatory body does nothing. They won’t even confirm that the rental history as documented by the landlord is factually correct! It is incumbent upon the tenant to obtain a unit’s rental history, compare it to permits, familiarize himself or herself with the rent stabilization code and decades of case law, obtain legal representation, and then sue the landlord in order to correct an illegal deregulation. There is a four-year statute of limitation in many cases when fighting an illegal deregulation, meaning that every apartment that is now illegally market-rate is a ticking time bomb. DHCR does nothing. And the rent stabilization association (a Kafkaesque name) wants to prevent tenants from having legal representation in housing court. The whole situation is insane.